Who Gets Custody of the Pets? If you’re like me, you probably think of your pets as family. 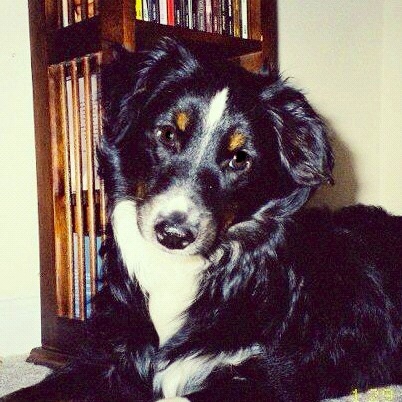 The handsome fella pictured above is my dog, Jesse, who has been my sidekick for almost ten years now. (Of course, I couldn’t resist using his picture for a post about pets.) He was briefly missing the other day when he took off on an unsanctioned run after a stray cat. While I looked for him in a panic, I couldn’t stand the thought that he might not come home. Thankfully, he returned unharmed (and actually seemed pretty proud of himself), but what about divorcing couples who fear that they may never see their pet again because the angry ex won’t share? What do you do if neither spouse can stand the idea of losing the pet in the divorce? First of all, although we often feel that our pets are family members whose best interests should be considered, legally animals are considered property in North Carolina. This means that they are valued and divided up just like household goods in the divorce proceedings, the same as the wedding china or the furniture. Even more dismaying to animal lovers, the value assigned to the pet is simply how much it would cost to replace, not the value that the owners feel the pet has to them. For example, say a couple cannot agree on who should keep their beloved dog. During the equitable distribution process, the court might assign a value of $50 to the dog, give the dog as property to the wife, and give the husband an extra $50 in other property to make it equal. Obviously, this is not usually the best solution when two people love their pet(s) equally. Ideally, a divorcing couple should try to work out a solution between themselves. Unlike the court, they can consider the needs of the pet and where the animal will be happier. They know whether the pet needs to stay primarily with the kids, or would do better wherever it can have a bigger yard to safely roam. A couple can even work out a custody agreement to define visitation and support for their pet. Such an agreement is just made as a private contract between them to address their rights and responsibilities with regard to the pet. There is one important exception to the “animals as property” general rule in North Carolina. The General Assembly wisely included a provision in the domestic violence statute (N.C. Gen. Stat. § 50B-3(a)(8)) that allows a pet to be included in a domestic violence protective order. So in domestic violence situations, the court can order that the victim should have custody of the family pet. This entry was posted in Divorce, Separation and tagged cat, Custody, Divorce, dog, nc animal law, pet custody, pets by Katherine H. Pekman. Bookmark the permalink.